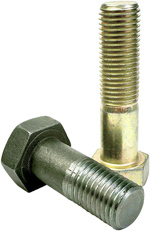 Glenwood started business in the early seventies as a basic bolts and screws supplier to the trade. In the 30 years plus that it has been trading it had expanded its range to include all aspects of engineering/construction fixings and fasteners that the modern day industry requires. The company is run by the two directors who have had over 25 years experience in the trade and can provide any expertise or advice you may need. Glenwood's policy is "First Class Service, Speed Guaranteed", showing that we strive to provide the quickest service possible and at a quality price. We are situated in a central position that provides quick access to four counties (Cambs, Essex, Herts, Suffolk) and have a well stocked "trade counter" that provides a range of tools, industrial clothing etc., and is open to the trade and public. All local delieveries are free and 'next day' upon request and even 'same day' if at all possible at that time.